Join us for an annual fundraiser to support Code to Inspire, the first coding school for girls in Afghanistan. 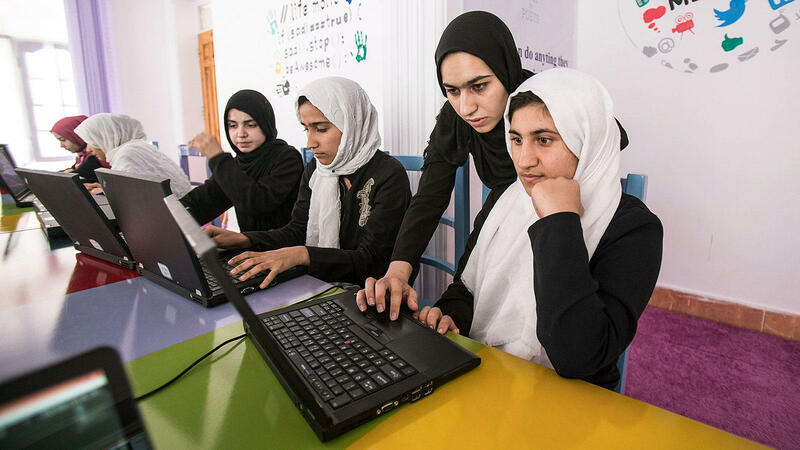 Code to Inspire (CTI) a registered 501(c)(3) nonprofit organization and is the first coding school for girls in Afghanistan, established in the western Afghan city of Herat. Founded by Fereshteh Forough in January 2015, CTI is a two-year after-school program that has given more than 150 female students skills and confidence to code, build apps, and generate work opportunities for themselves. CTI believes in giving these young tech entrepreneurs the latest skills through classes in Web Development, Game Development, Mobile Application Development and Graphic Design, empowering them to add unique value to their communities, and inspiring them to strive for financial and social independence. CTI has been recognized by organizations such as Google (Google Rise Awards), United Nations (Named Girl Hero Award), Marie Claire (Young Women’s Honors), and UC Berkeley (CITRIS Athena Awards for Women in Technology).